Simultaneous bilateral TKAs subject patients to more arduous and painful functional recovery and increased risk of hemodynamic complications than staged bilateral TKAs. Minimally invasive TKA (MIS-TKA) reportedly results in more rapid return of function by limiting the amount of soft tissue disruption. We asked whether bilateral MIS-TKA had advantages over conventional TKA with respect to faster functional recovery. We prospectively randomized 30 patients into an MIS group (mini-medial parapatellar approach, 15 patients) and a conventional group (conventional medial parapatellar approach, 15 patients). We recorded range of motion and the time required to regain the ability to walk without assistance. Functional recovery in the MIS group was faster in rehabilitation milestones of walking without assistance and gain in range of motion. 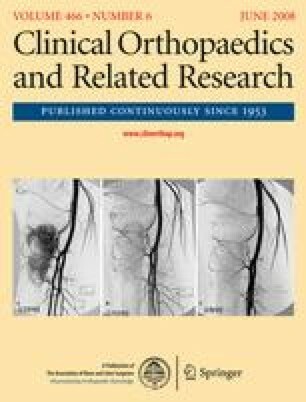 Minimally invasive TKA may benefit patients undergoing simultaneous bilateral procedures with faster functional recovery. Level of Evidence: Level II, therapeutic study. See the Guidelines for Authors for a complete description of levels of evidence. We thank the Medical Research Collaborating Center at Seoul National University Hospital for statistical help. This study was supported by a grant from the Innovative Research Institute for Cell Therapy, Republic of Korea (Grant no. A062260).